If you don't see a perforated paper format you need, we'll custom create special formats to your dimensions on perpendicular edge to edge perforations. Many of our paper choices have significant eco features in support of sustainable design. All of our made to order perforated papers are manufactured using 100% wind power through the purchase of renewable energy credits. Each order is custom perforated and ready to ship in 2 to 4 days from final customer approval. 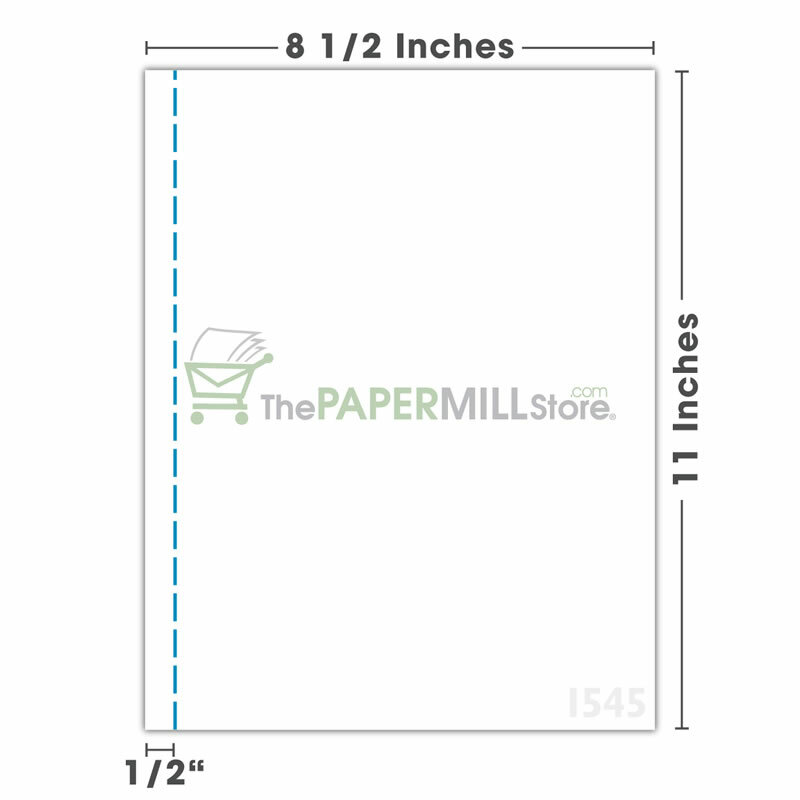 Perforated papers are made to order and are not returnable for a refund or exchange.